The Mecklenburg Times newspaper has been covering Metro Charlotte, Mecklenburg, Union and Iredell counties since 1923. As part of BridgeTower Media, The Mecklenburg Times is part of an award-winning group of publications in many markets throughout the U.S. The newspaper and website feature the latest real estate, development and construction news and information as well as government, political and local news – including breaking stories, data and expert columns. Online readers have access to digital editions. Users rely on our searchable data archives to get the latest information. 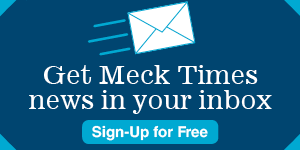 And we offer a free e-alert featuring the latest news from around Mecklenburg, Union and Iredell counties directly to your inbox Monday through Friday. As the region’s leading publisher of legal records and public notices, we also offer listings for new business filings, bankruptcies, foreclosures and real estate transactions. The Mecklenburg Times also offers subscribers online access to our data archives and an eAdvantage subscription upgrade that provided additional search criteria and the ability to download records.